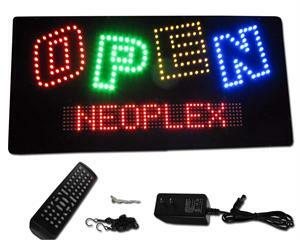 This incredibly bright LED sign both reads Open in vibrant red, yellow, blue, and green above and has a fully programmable red scrolling bar below for additional message advertising. 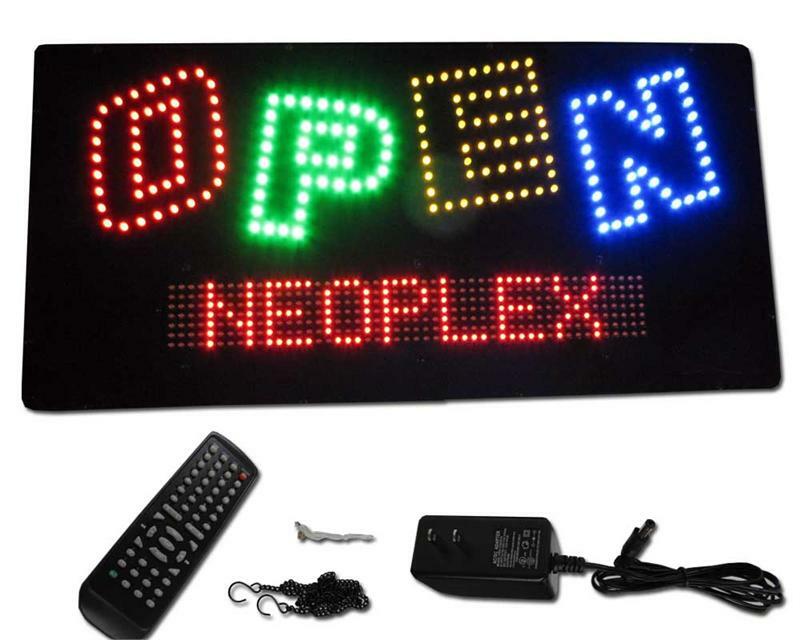 The OPEN wording can be changed from solid to flashing with just the pull of the cord on the bottom of the sign, giving you even more advertising versatility. This sign is programmed with the included remote, no computer or software or cables necessary!